Amidst the supposed decay of everything that was “Manchester United” under Louis van Gaal, up rose one of the club’s most dazzling young talents of recent times on the Iron Tulip’s watch; one Marcus Rashford. If Van Gaal’s reward for ending an 11-year FA Cup drought at the end of his second season in charge was the boot from Old Trafford, then the emergence of a new Red Devils vanguard led by the irrepressible Rashford will likely be the Dutch manager’s sole positive donation to the club’s rich history in fans’ eyes. What a criminal act it would represent therefore, if the Stretford End were suddenly robbed of watching their new teenage icon on anything like such a regular basis in the forthcoming campaign. Well that’s now a very real possibility. In light of Jose Mourinho’s typically provocative first official press conference in charge of United, there is every chance 18-year-old Rashford’s wings will be clipped quite considerably in terms of game time in 2016/17. 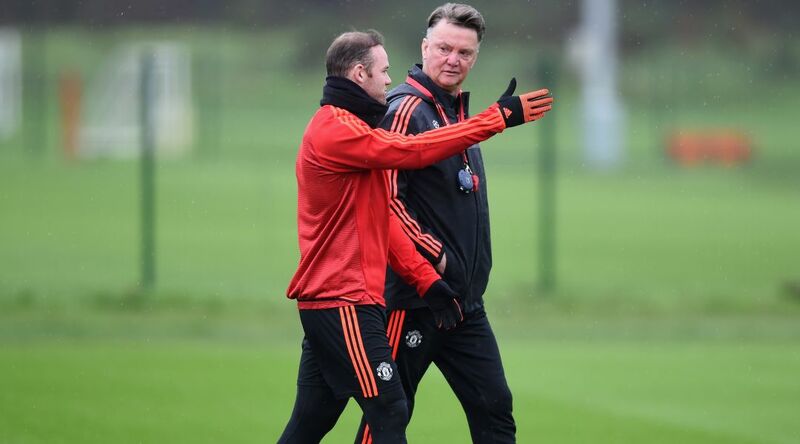 “So maybe he’s (Rooney is) not a striker anymore. Maybe he’s not a number nine anymore, but with me he’ll never be a number six (deep central midfield),” Mourinho said. Reading between the lines of this ambiguous statement, there will be no deeper playmaker role for Rooney while Mourinho calls the shots at Old Trafford. Unlike Van Gaal, Roy Hodgson or Rooney himself, the Special or Happy or Serious One does not see a shift backwards, as a natural progression. This is bad news indeed for master Rashford. Even in a front three, or even a three behind a one – the two recognised variations Mourinho likes to deploy in attack – Rashford will now naturally be behind Rooney, Zlatan Ibrahimovic, imminent arrival Henrikh Mkhitaryan and quite possibly £38m signing Anthony Martial in the incredibly squeezed pecking order. It’s pure conjecture to guess what is going through Mourinho’s mind, but despite his Rafa Benitez-style rant about the 55 youth players he may have promoted to the first-team at various clubs, it’s still the best educated guess. Of the 55, it’s nigh-on impossible to name more than a handful of academy products who have flourished under the Portuguese’s tutelage. Buying the 2015/16 Rashford highlights DVD featuring eight United goals in only 18 first-team outings, might be the only sensible option until further notice.